May is National Salsa month. WOO HOO! 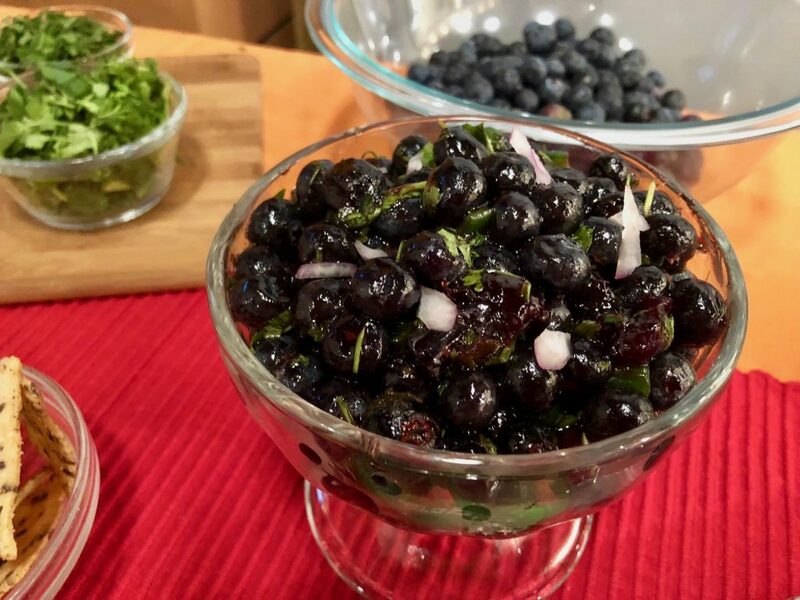 I “salsa-d into spring” with three yummy and easy to make salsa that you can serve up in lots of different ways! Fun Host Christine Pullara and I whipped up three different salsas. 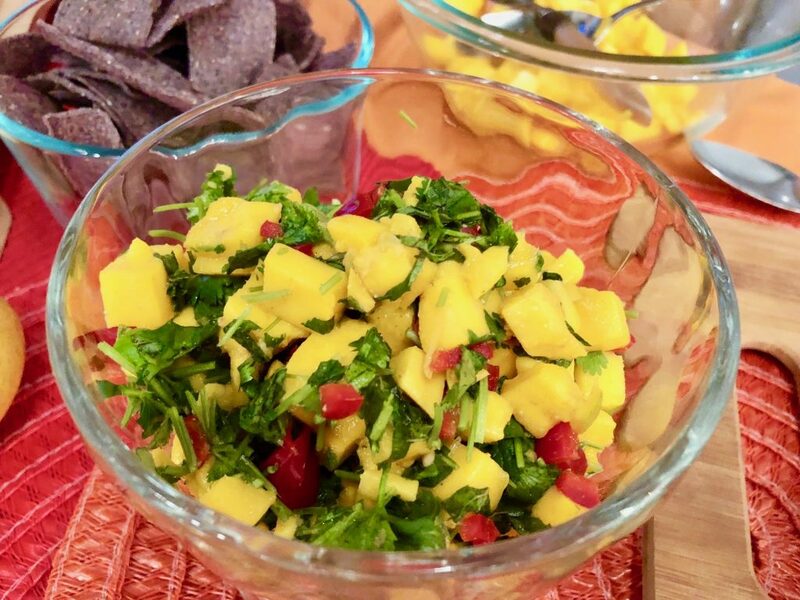 A tomato salsa with a twist that uses fresh and sundried tomatoes, a blueberry salsa and a yummy bright mango salsa. Bring the water to a boil in a small saucepan and remove from the heat. Split and seed the chilies, (wear gloves!) and add them to the water – allow to soak for 15 minutes. Place the chilies, water, sun dried tomatoes, garlic, Roma tomatoes, and lime juice in a blender. Pulse until well combined. Combine all ingredients in medium bowl and stir to blend. Cover and chill 1-2 hours to blend flavors. 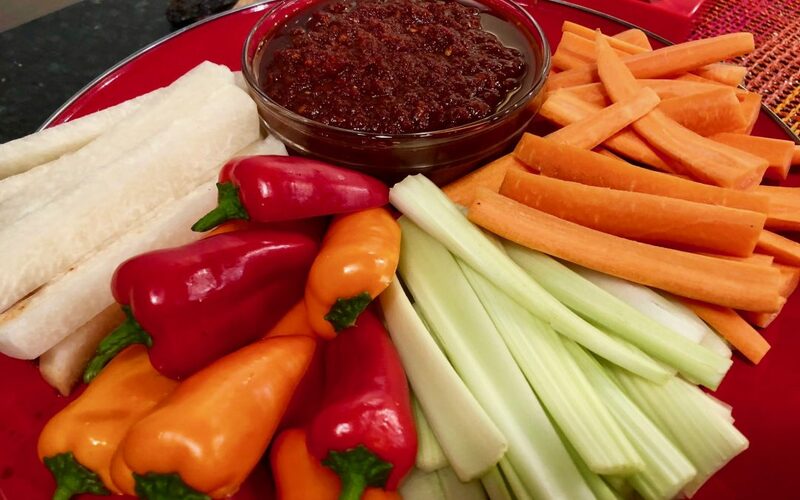 Serve with sweet potatoes, grilled meat or with chips as an appetizer.